Bridal fashion doesn’t just stop with the bride & bridesmaids… There are also the little people and the men to think about! I’ll get to the men later… Having children as part of your bridal procession is definitely a personal preference, and depends a lot on whether you have close friends with little ones. But if you have decided to include them, then here are a few ‘traditions’ to consider when selecting their outfits. Flower girls finish off a bridal party perfectly, and look so sweet in the process. 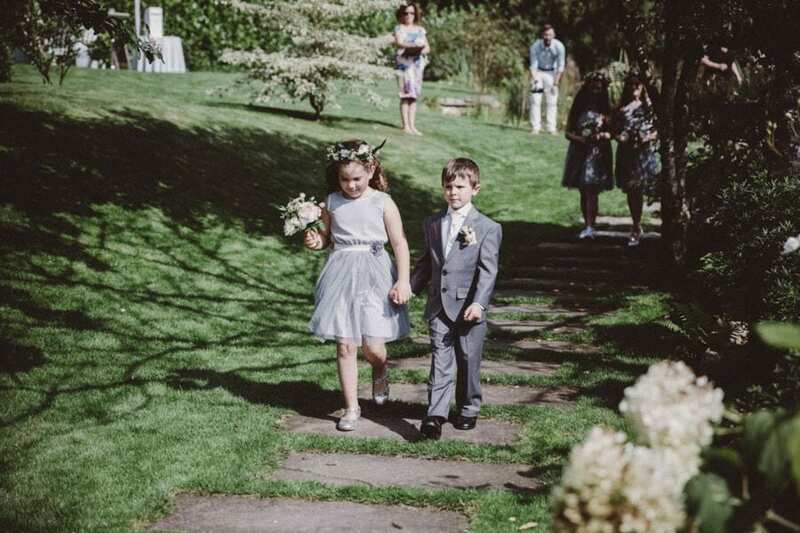 Traditionally, flower girls would be dressed as a mini version of the bride (adorable!) and walk down the aisle first, scattering petals. 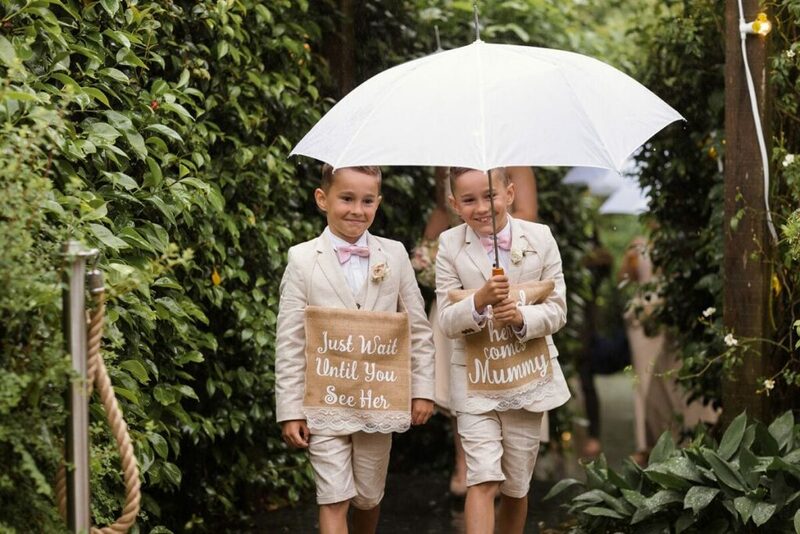 We still see this quite a lot with our weddings at Ever After, and it’s always super cute! Flower girls are also a lot easier to dress. Mostly, they’ll be pretty young (probably aged 10 or younger) so they (in theory) won’t be as fussy as a group of adult bridesmaids. You can also be more creative with their outfits, and choose really lovely ‘fairytale’ little dresses. And they are always first on the dance floor! Something I discovered whilst preparing this post was that traditionally it’s actually the page boys who held the bride’s train, not the bridesmaids! So there’s a fun fact for you. Page boys are normally dressed like mini ushers in the same suit & ties (or near enough). Page boys are less popular now, but still lovely nonetheless (especially when they are miniatures of the groom!). Missed my previous fashion post on bridesmaids? Find it here.